When a processor is manufactured, it has a series of designations to identify it, such as the name. But alongside this, as with almost every manufactured product ever, each product will go through a number of revisions and design reinventions to do the same thing better or add new functionality. For microprocessors, aside from the model and family name, we also get what are called a ‘Revision’ and a ‘Stepping’ for each model, with the stepping being used for enhancements that increase the efficiency or add features. New steppings require a complete revalidation process for yields and back-end work, but for example a typical Intel mainstream processor will go through three or four steppings starting with the first silicon. What Intel has published in the last couple of weeks through a 'product change notification' is an update to the Atom line of desktop-embedded processors that use Cherry Trail cores. The combination of cores and marketing position gives this platform the name Braswell. The Braswell update is a new stepping which adjusts the power consumption of the cores, raising the frequency, raising the TDP of the Pentium variants for a larger product separation, and renaming both the processor itself and the HD Graphics implementation. This change is referred to in the documentation as moving from the C-stepping to the D-stepping, which typically co-incides with a change in the way these processors are made (adjusted metal layer arrangement or lithography mask update). *Celeron J3060 2 / 2 1600 2480 1 MB HD 400 6 W ? *Celeron J3160 4 / 4 1600 2240 2 MB HD 400 6 W ? *Pentium J3710 4 / 4 1600 2640 2 MB HD 405 6.5 W ? The new SKUs will still be Braswell parts, with the names changed from N to J with the number adding 10. The Pentium models will go from 6W to 6.5W, have an increase in burst frequency, but at this point the exact value has not been published. Edit: Thanks to @jacky0011 who pointed out that the Intel Download Center auto-complete function has the turbo mode for these listed. Pentium models with 16 execution units in their integrated graphics will have their graphics model changed to Intel HD Graphics 405, while Celeron models with 12 execution units are now Intel HD Graphics 400. In both cases, these are accompanied by new drivers as well. For system designers, it is worth noting that the ICCmax value for the new stepping rises from 7.7A on the old to 10A on the new for the CPU, and from 11A to 12A for the graphics, meaning that the new chips can be plugged into original Braswell designs but only if they meet the new ICCmax criteria. 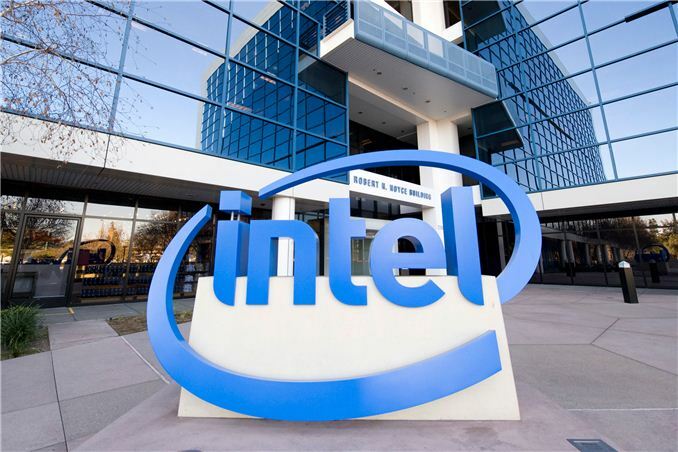 Intel expects minimal validation for customers wishing to use these new parts, but they will have new S-Spec and product codes requiring a change in ordering. Intel’s timeline puts the first samples for customers are available now, with qualification data at the end of November. Bulk shipments of chips for devices will start from January 15th 2016, with all shipments finishing on September 30th 2016. Chances are we'll see the current Braswell crop of devices (mini-PCs, NAS) with the newer parts, depending on availability and current stock levels. I did exactly the same but didn't care about 4k and with the lack of any real speed improvements on the currently available Braswell I just stuck with the older J1900. Happy to trade the bit of speed it cost for absolute quiet on the cheap. Absolutely fine for browsing the web and doing e-mail, etc... Only moving part in the whole rig is the DVD burner which doesn't get much use anyway. With intel's focus on power efficiency you could do this even with much more powerful chips - I've got an overclocked 4770k that's passively cooled with passive power supply. The system fan is optional, but that allows a lot more thermal headroom (and at very low speeds you can't really hear it), so I tend to leave it on. I too built a system with the n3700 earlier in the year and I hope that they've fixed the thermal throttling first while trying to increase the clock speeds! My n3700 in a fanless embedded system can only sustain 2.4 GHz on all four cores until only about 40-45% CPU utilization and if all 16 EUs are taxed in the GPU, the clock speeds struggle to hit mid-500 MHz clocks. "What good is increasing the clock speeds for the CPU and GPU if it can't sustain those loads?" The point of these chips, my guess would be, is to get smooth operation while not killing your battery or need active cooling. If you want sustained high performance go with the 45+ watt chips. Mobile will always have more limitations than full fledged desktops running on hundreds of watts. Commenting when you have neither experience or ownership of said product. Nice. This thing could technically be used in tablets and/or 2-in-1s the way that Intel is pitching the product and I'm telling you right now, it thermally throttles. If it can survive in an enclosed laptop environment, surely in my usage scenario with a good-sized passive heatsink + expelling case fans in an mITX system it should be able to reach high clock speeds if indeed it was not thermally constrained. In media playback, it's fine, but in Steam Big Picture mode, the interface is laggy. With that many EUs and the ability on paper to output UHD 4K @ 30fps, the interface should not lag. Why does it though? Because especially on the GPU side, it throttles! Should I need to add a fan to a 6W chip to get the performance it offers up on paper compared to the previous embedded J2900 generation which could consistently clock well with the same setup? No. There is a problem and it's probably why they rushed to release these updated chips. The n3700 only had retail availability about 3-5 months ago. Trust me, the N-series first go around on Braswell was a failure and us beta testers got duped. The J-series release is the true release stepping. Intel porked me.